Rabbi Shmuli and Nechama Slonim have been involved in Jewish education as long as they can remember. Shmuli grew up assisting his parents at the Rohr Chabad Center for Jewish Student Life at Binghamton University in Binghamton, New York, while Nechama assisted her parents at the Aishel House in Houston, Texas, an organization that provides visiting patients at the Texas Medical Center, and their families, with housing and other support services. They have both traveled widely engaged in various Jewish educational programs. Shmuli studied in New Haven, CT, Brooklyn, NY, Morristown, NJ and Manchester, England. After completing High School, Shmuli was chosen to be a Rabbinic intern at the Rabbinical College of Australia and New Zealand, located in Melbourne, Australia for 2 years. Following his internship Shmuli studied for and received his Rabbinic ordination at the Chabad Lubavitch headquarters in Brooklyn, NY. Nechama graduated Beth Rivkah high school in Brooklyn, NY and completed Beit Chana teacher’s seminary in Tzfat, Israel. 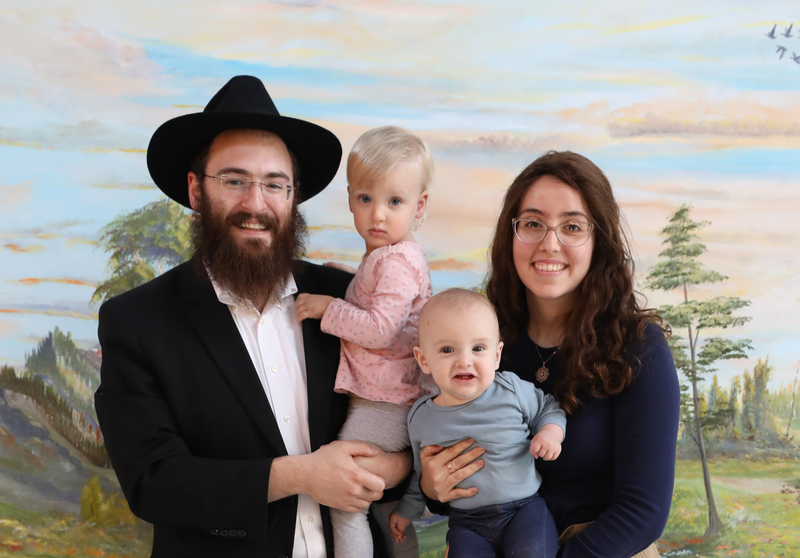 Rabbi Shmuli and Nechama married in the winter of 2015 and moved to Houston in the summer of 2016 to establish Chabad at Rice University. Moussia was born during O-Week of 2016, ensuring that she does not miss a day with the students. Her charm and adorable personality welcomes all of her Rice friends! Mendel is all smiles. Come and experience for yourself! If there is anything you ever need or that we can help you with, don't hesitate to contact us at ANY TIME.